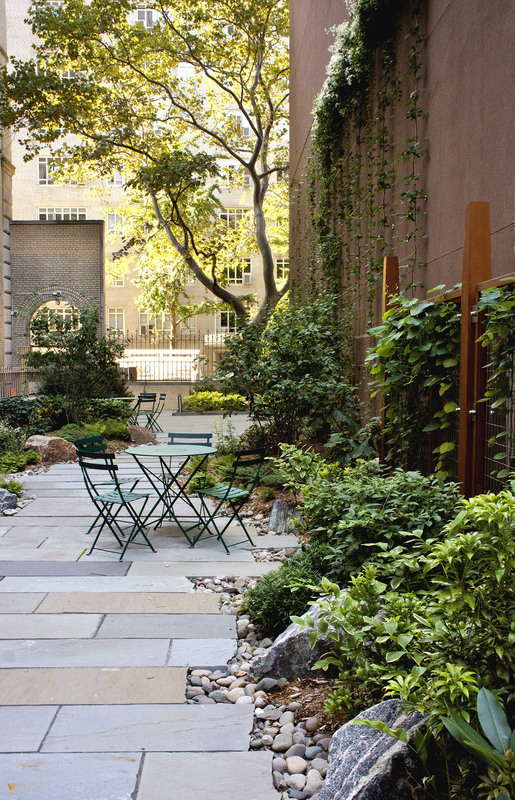 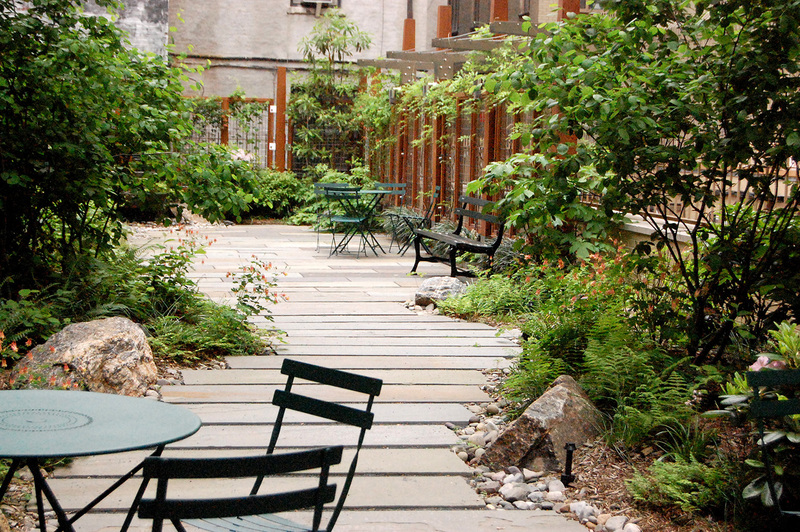 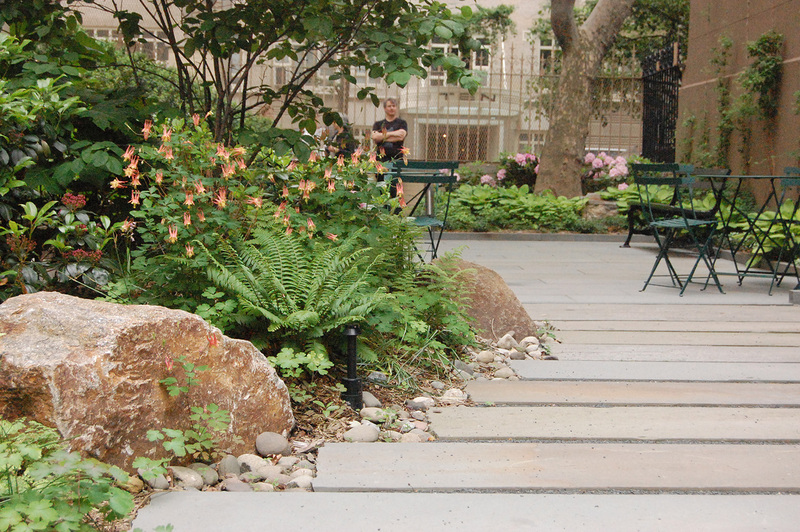 Starr Whitehouse is turning a 20’ x 100’ vacant lot at a Central Park West apartment building into a garden that recalls the natural abundance of Central Park. 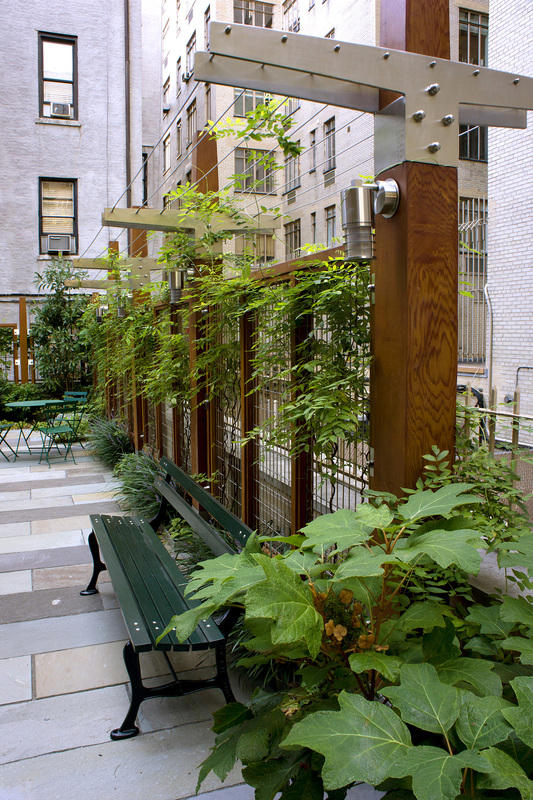 The apartment building offers spectacular views of the City’s greatest amenity, and the completed garden will afford residents a small, private reflection of that treasured city retreat. 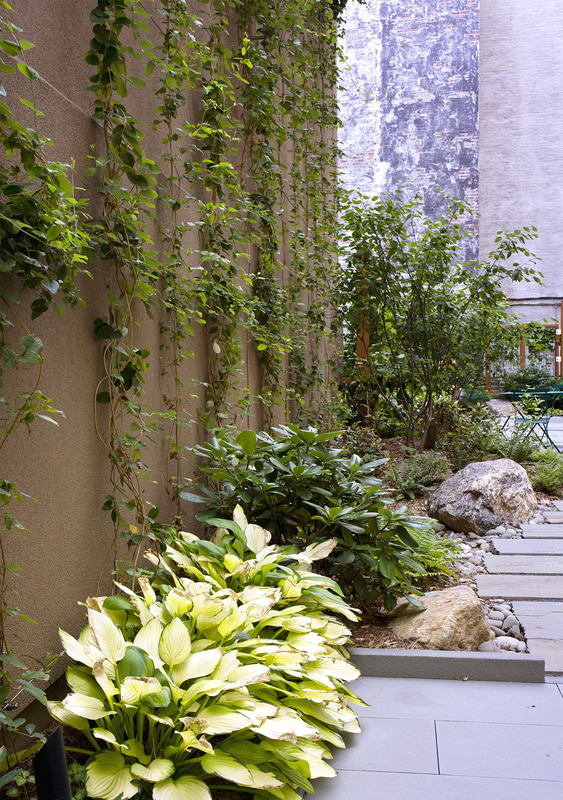 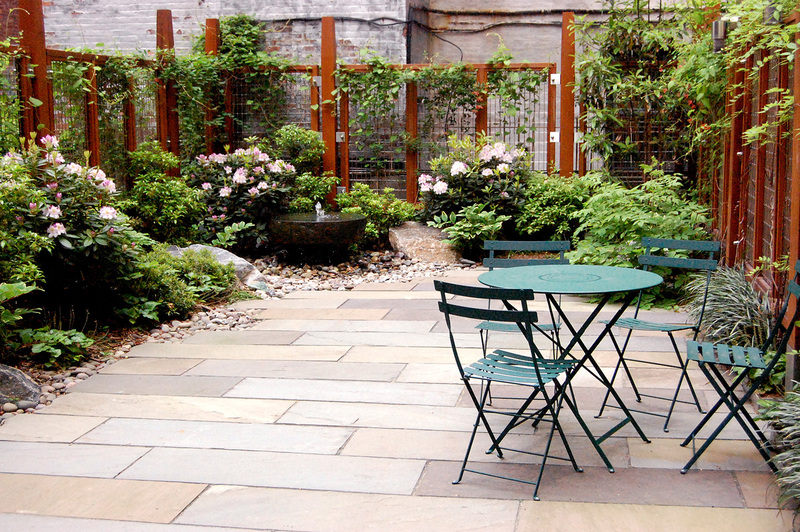 Moving from public to increasingly private space as it proceeds away from the street, the garden welcomes visitors through a yellow brick gateway into an open patio capable of hosting small social events. 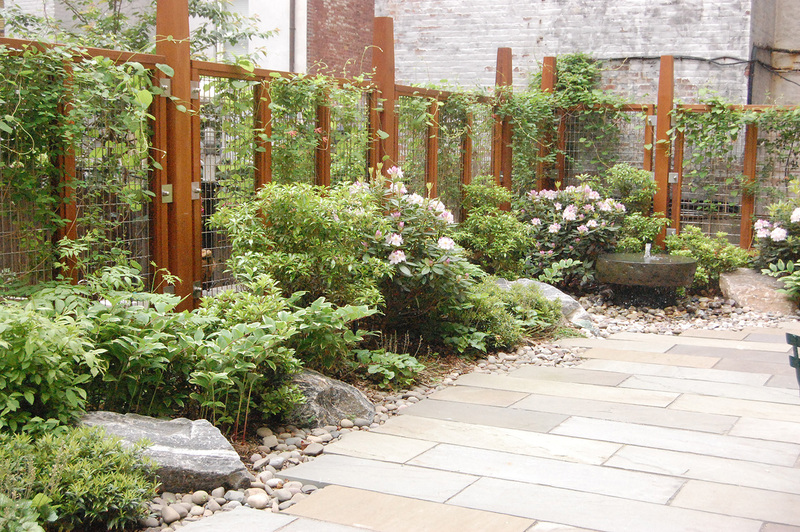 Bluestone stepping stones draw visitors though a woodland thicket to the garden’s sylvan back room, where a fountain pool invites children to play, and a vine-draped pergola with lattice panels creates a series of intimate alcoves for contemplation or private conversation.